HomeTumors of the Nervous System in ChildrenSupratentorial Tumors in ChildrenSupratentorial Tumors of the Lateral and Third Ventricles in ChildrenManagement of Supratentorial Tumors of the Lateral and Third Ventricles in ChildrenTips and Techniques for Treating Tumors of the Lateral and Third Ventricle in ChildrenAnterior Interhemispheric Transcallosal Approach – Francisco Salomao, M.D. The cerebral hemisphere is gently and gradually retracted away from the falx. Exposure of the corpus callosum: The right frontal lobe is retracted away from the falx. 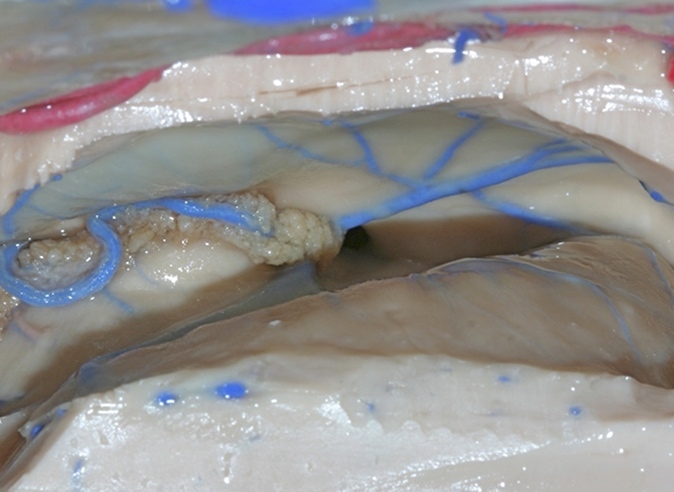 The pericallosal arteries are identified and mobilized. The corpus callosum may be incised between the pericallosal arteries or on either side of the pair for a length of 2–3 cm. 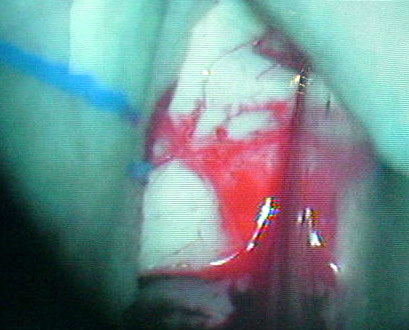 The lateral ventricle is then entered. 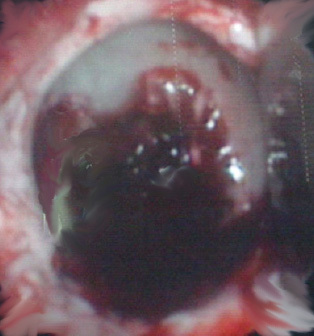 View of interior of lateral ventricle: The foramen of Monro is blocked by a tumor.